Hotel Buttercup is well-equipped with marbles floors, air-conditioned rooms have flat-screen LCD cable TV and room service. Every room feature with private attach bathrooms include a free bath towel, hand washing soap and hot/cold shower facilities. The front desk provides transport rentals, luggage storage and currency exchange services. Guests can visit the news stand or head to the tour desk to arrange for trips. 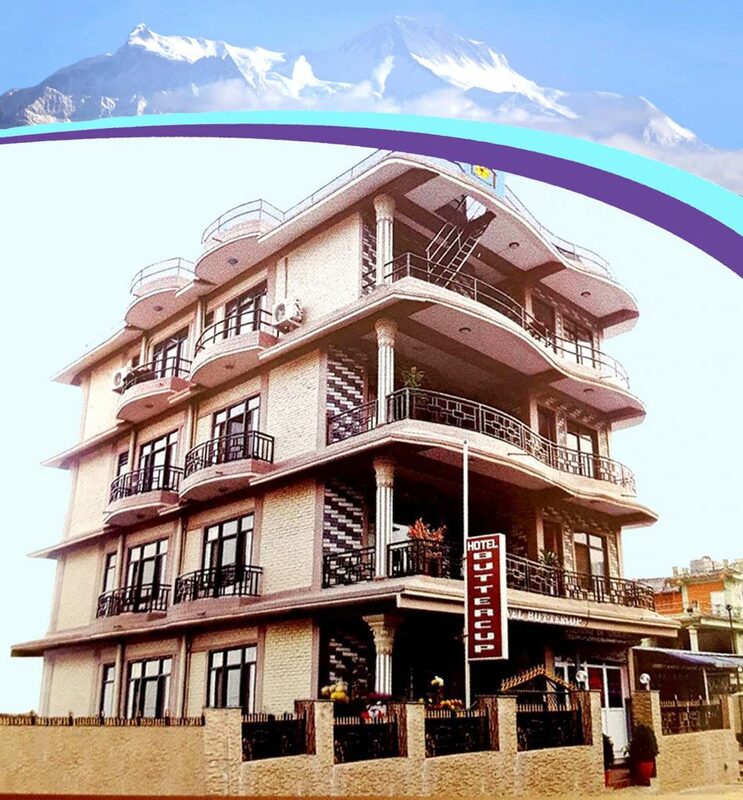 Just 2.5 km from Pokhara Domestic Airport and 2km far from Tourist Bus Station, Hotel Buttercup provides a pickup and drop service upon a request. The property is just 300 m from Fewa Lake, 1.5 km from World Peace Pagoda and 3.7 km from International Mountain Museum. The local Bus Station is 1.5 km away from the property. Pokhara is a great choice for travelers interested in trekking, hiking, adventures activities and colorful night life with live music bars. Wish you a HAPPY NEW YEAR 2017 with Barbecue package. 1.Double Barbecue package X2 @2600 per person. What Includes: Breakfast, Standard double room, Barbecue (Chicken 1kg or 1/2kg mutton), 1Qatar Vodka or 1 Beer. 2.Triple Barbecue package X3 @2500 per person. What Includes: Breakfast, Standard triple room, Barbecue (Chicken 1kg or 1/2kg mutton), 1Qatar Vodka or 1 Beer. 3. Group Barbecue package x4 @2400 per person. Note: Please make sure and confirm before arrival to reserve the promotion. "We serve what you deserve"
Beautiful mountain view from balconies.